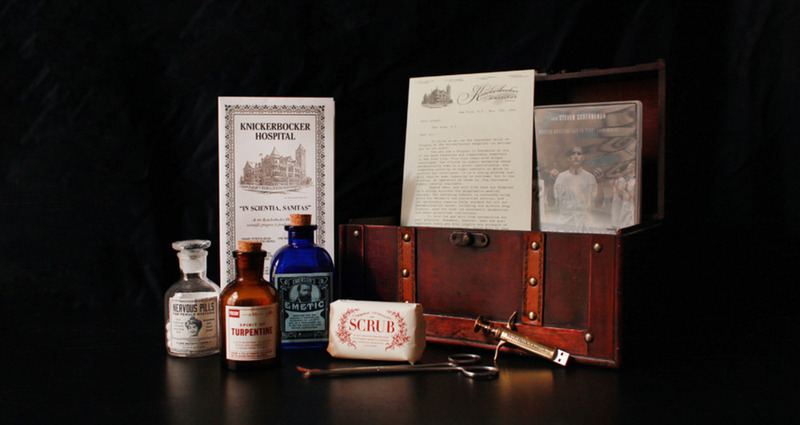 To build anticipation for Cinemax’s The Knick - a period drama set in a New York Hospital - we created an authentic Surgeon’s Box. Each box was personalized with gold initials and delivered with a hand-signed letter from Dr. Thackery, welcoming them to The Knickerbocker as it’s new Assistant Surgeon. Inside were quack cures, microscopic images on slides, surgical scrub blood soap, hypodermic USB stick, antique surgical clamps and a fold out poster by award-winning illustrator Gerhard. The box was designed to be an exploratory story, conveying both the narrative setting and authentic detail of the show, as well as create a quality discourse associated with the Cinemax brand. 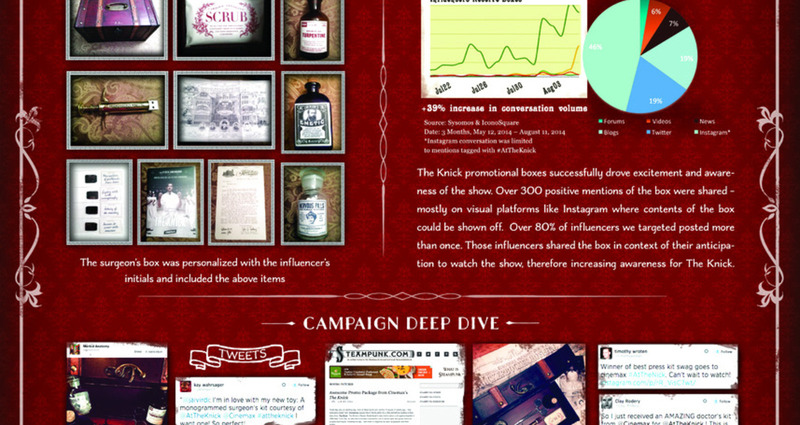 200 boxes were delivered to influencers, fan community leaders, historians, celebrities, and bloggers resulting in online buzz ahead of the premier by way of social sharing, unboxing videos and photos, in-depth coverage and show reviews.